Congratulations to Fabian Langer! 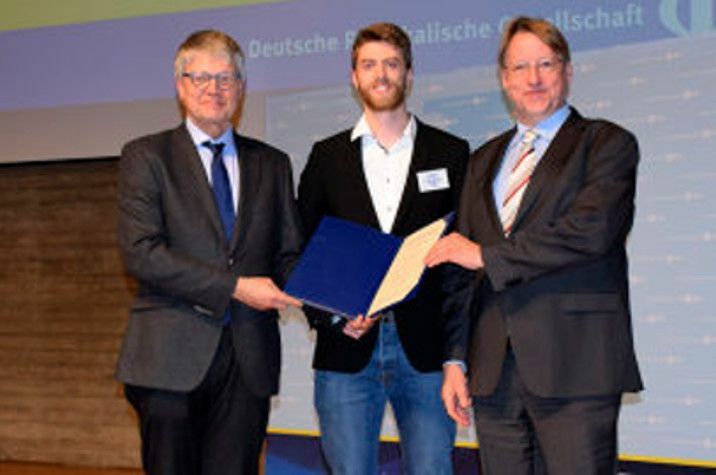 In a competition with high ranking contributions, Fabian Langer won the "Dissertationspreis 2019" of the condensed matter section of the German Physical Society (DPG). The prize acknowledges his outstanding work on "lightwave-driven quasiparticle acceleration" in his dissertation and the excellent presentation of his results at the DPG Spring Meeting 2019 in Regensburg.